She's Fantastic: 3.75" Marvel Legends - GAMORA (MARVEL NOW)! 3.75" Marvel Legends - GAMORA (MARVEL NOW)! 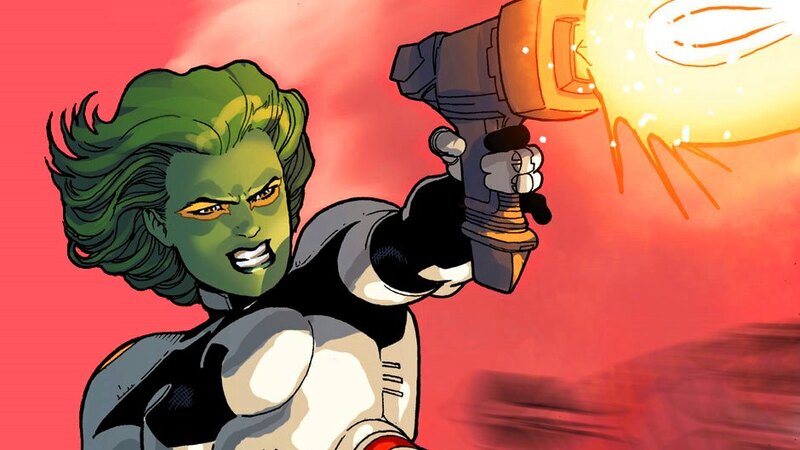 I love a good green-skinned girl. At one point in my collecting I had a shelf dedicated to these emerald beauties. It was loaded with She-Hulks, Oolas, Vinas, She-Dragons, Poison Ivys, Jades, various witches, and a couple Turtles. I'm thinking with all the Gamora product we've seen in the last few years I might want to re-establish that group. It was a pretty striking sight if I must say so myself. 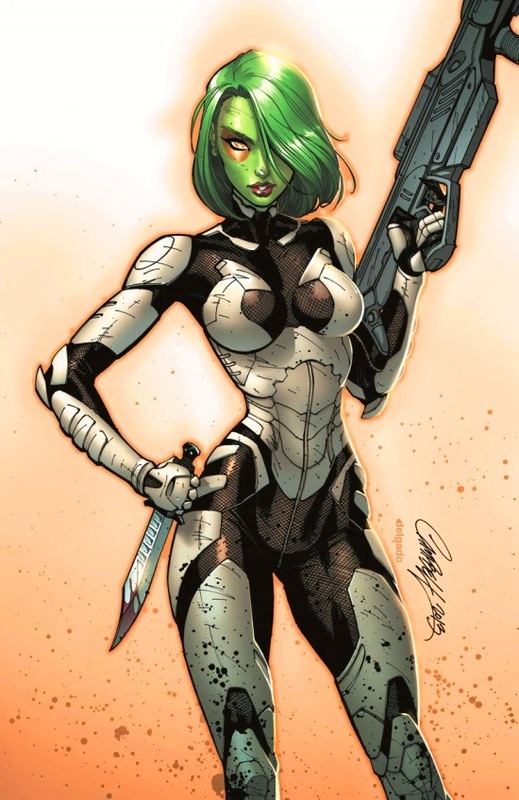 I really dig this modern comic-based costume of Gamora's. The first time I noticed it was in the 2013 Guardians of the Galaxy comic series. It was a given that we'd get an action figure featuring this look eventually. There's already an Eaglemoss Chess piece and a Heroclix figure sporting the utilitarian duds after all. Her previous comic looks have been anything but functional so this is a step in the right direction if they want to court the movie fans. The new 3.75" Marvel Legends figures are impressing me. The lack of wrist and torso articulation isn't great, but overall the aesthetics are on point. 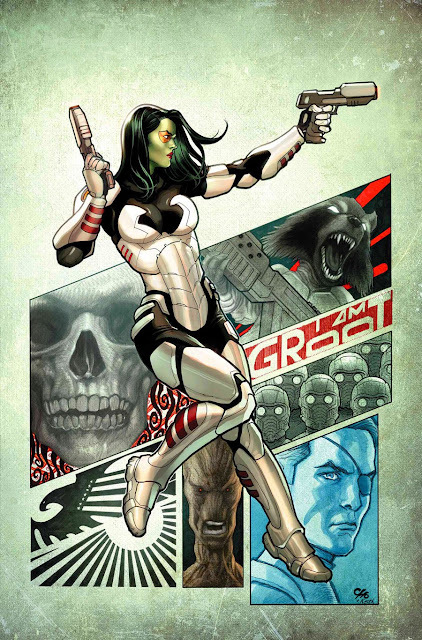 Let's check out Gamora below! Here is Gamora with the recent Captain Marvel and Thor figures. Such great sculpting on this toy. The look of the armor reminds me of some of Mass Effect 1's Human armor.